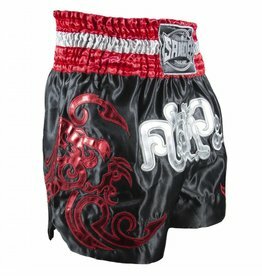 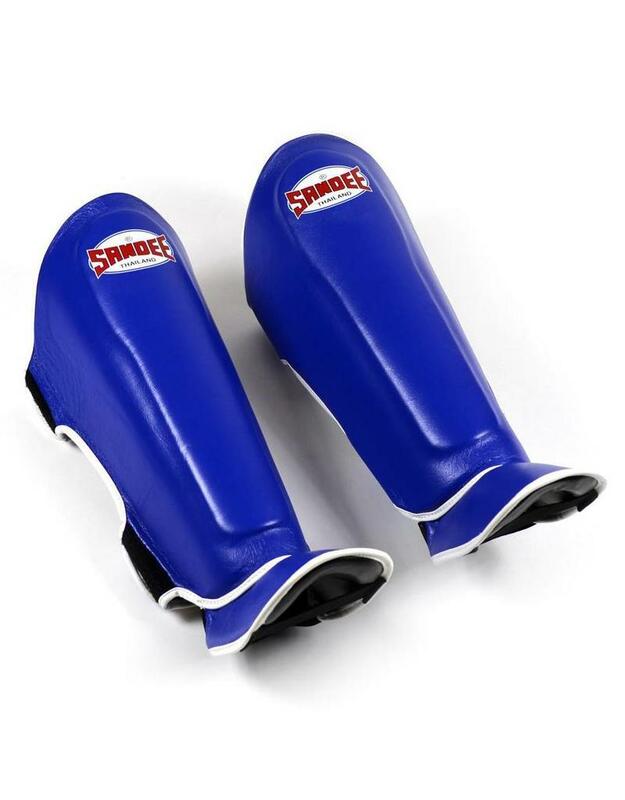 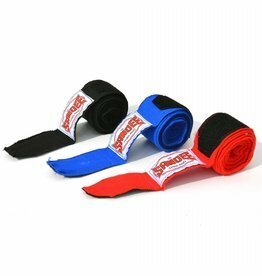 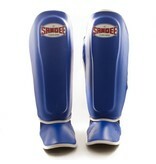 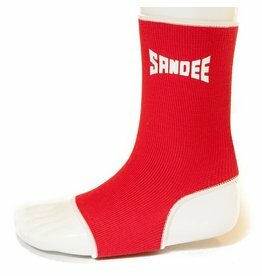 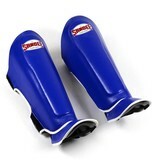 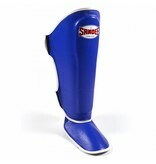 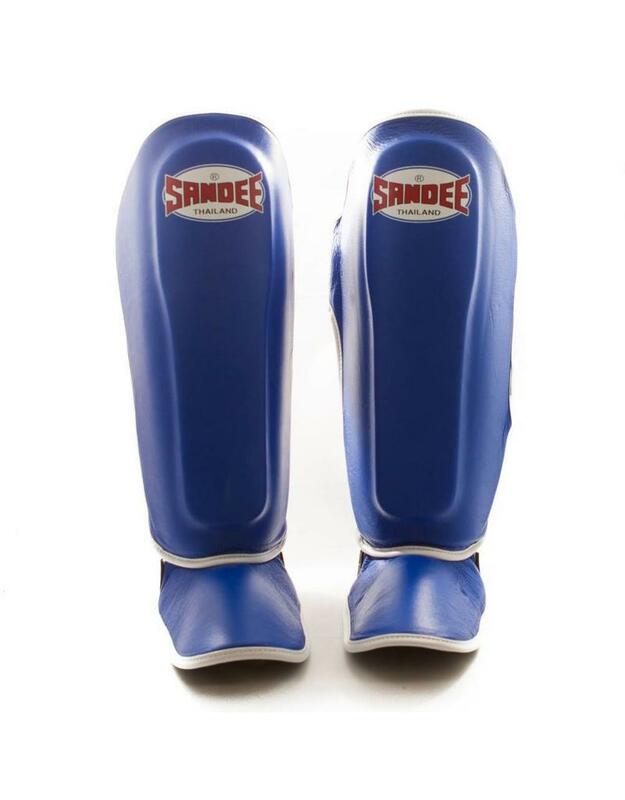 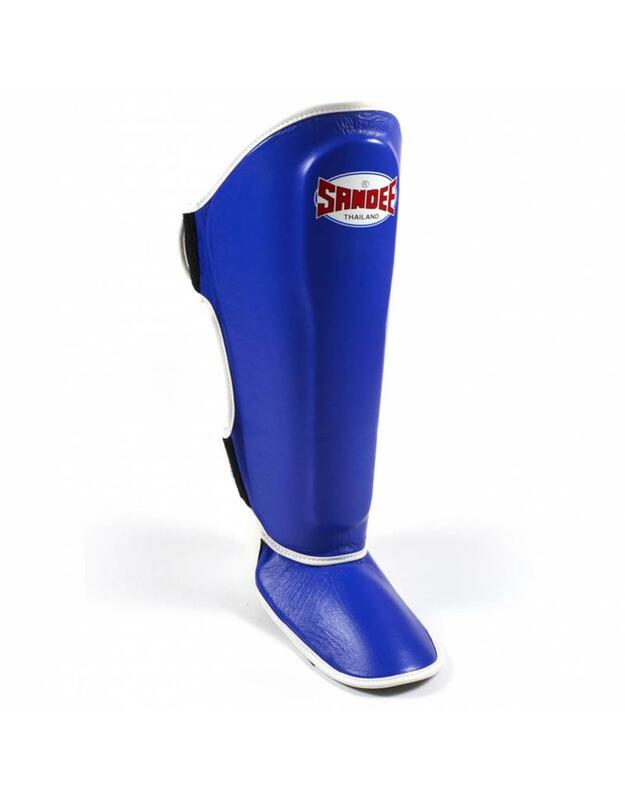 These Blue Sandee Shin Guards are designed with Thai Boxing in mind and are some of the best shin protection you can get in the market. 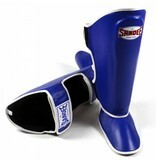 They are constructed of soft, yet incredibly durable, premium grade genuine cow hide leather. 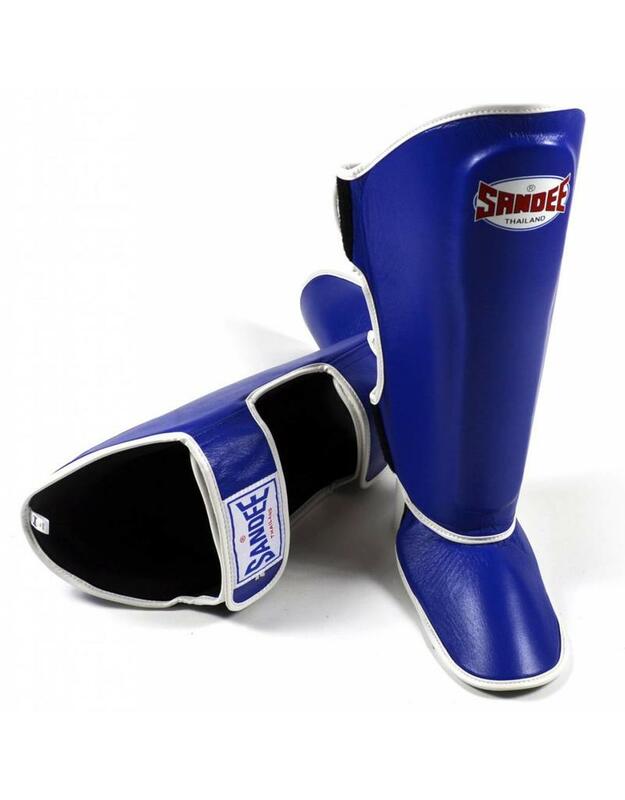 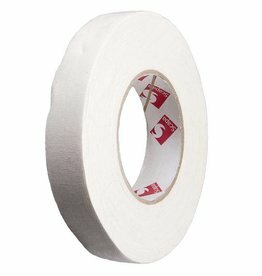 This outer shell covers a triple layer of contoured high-density latex foam making up the inner-core system.